Modern Vespa : GT200 with Malossi 218, 4v, cam, lv4road. No change? GT200 with Malossi 218, 4v, cam, lv4road. No change? So it was the petcock hose? Do you feel a difference now? referring to something you said earlier about the JCosta variator, my riding style is very much the "B" roads rather than flat out. Here in the Perth hills most roads either go steeply up, steeply down, or around tight corners, so what you are describing sound fine. 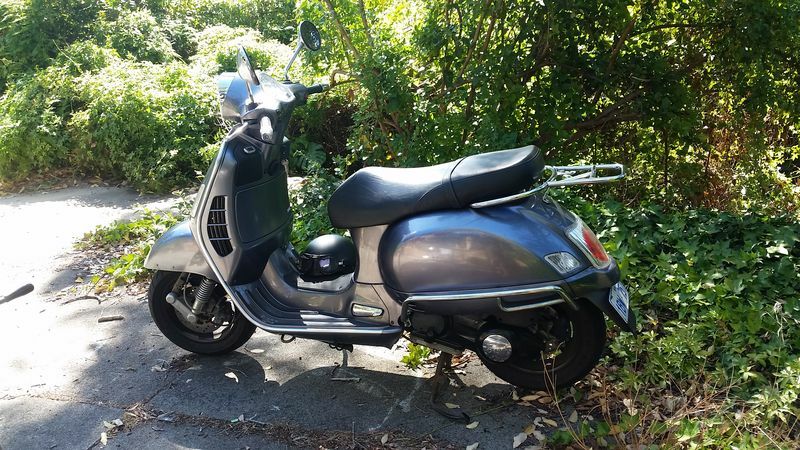 The only niggling doubt I have is there isn't much in the way of weight choices for the JCosta, so though the lads at the Vespashop like them more than the Malossi, they were concerned I'd get trapped in the wrong rev range with the new set up. I haven't tried the JCosta variator yet, but I just did a three way comparison of the Polini, Malossi, and CVT FR4 variators, using 13 gram weights in all of them, over about 100 miles each, in my GT218. In same day comparisons, the Malossi had a 1-2 mph higher top speed over the same course than both of them. From a seat of the pants perspective, it was also the most noticeable when you hit the throttle. It gets right up into the powerband and starts to do it's thing. The Polini is very smooth in the mid-range, and an excellent choice if you want better acceleration than stock but do a lot of riding in traffic, and the CVT FR4 was the second fastest overall, but lacked the sense of get up and go that the Malossi has. The CVT-FR4 also spent the most time hitting the rev limiter and when I started this, i was sure it was going to be the fastest of them all. Also, the CVt FR4 uses the 21x17 rollers, so it's limited, though not as limited as the J Costa, in weight choice. Everyone makes 20x17 rollers, and you can get them in .5 gram increments. I would like to try a J Costa, but it's hard to justify adding to my big bag of perfectly good variators. 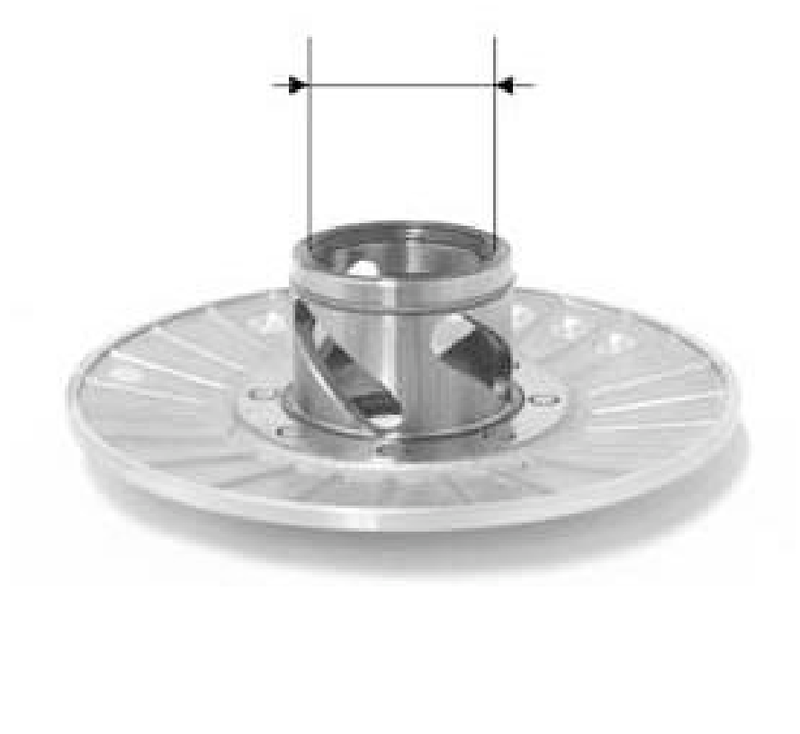 Now if CVT FR4 started making variators with the Malossi hub, instead of the Piaggio hub, that would be exciting. Something else you might want to consider trying, once you get everything else sorted out, is a 3 degree woodruff key. It's cheap, and seems to make a difference in getting to the top end. That is exactly what I needed to know next. Though I bought a spare set of rollers to experiment with in the standard GT variator, I was surprised to find the ones in there perfect, not even 0.1mm wear and no flats. I lightened them to a little under 10g but was only getting 7500rpm so have lightened them to near 9g and will fit them today. I'll give the Malossi variator a go in the New Year. Do you have any idea how many revs you were getting with the 13g in the Malossi? You are only limited in as much as you have to use J Costa weights and they come in 0.5 gms increments. There are , I believe 12 in a GT 200 variator so lots of possibility but the difference is that J Costa started life making dynomometers, so they could measure the results, and as such the set up is developed on a dyno for that specific scooter. So all the hard work is done. for you, you don't have to play much. They didn't seems to start off very well in North Amercia as they are not really designed for high speed long distance runs. As I said they are more for the twisties and hills or it is a circuit racing variator if you wish. I had a Costa variator on my GT200 which gave excellent results. I think it was better than the Polini that I installed on the 250 and 300. J Costa started life making dynomometers, so they could measure the results, and as such the set up is developed on a dyno for that specific scooter. So all the hard work is done. for you, you don't have to play much. That is my point. The Costa is spot on as it comes out of the box, and you don't have to mess around with different roller weights. Oddly, it still dies at 1/4 throttle with the airbox disconnected. It's a bit happier than it was without a hole in the manifold of course, and lightening the variator weights it now runs between 7800-8250 WOT with the airbox, but it's not right. It's still not pulling with spirit. Currently I have 100 main jet and the needle raised to the bottom clip. Without the airbox the accelerator pump makes it jump quite pleasingly, so it's lean. With the airbox it's just so so most of the way through. Suddenly it's a f@#king rocket. It used to do 0-80kmh (50MPH) in a lazy 10 seconds. It just did it in 6.5m maybe 6 but the timer (me) was a bit pre-occupied praising the engine gods and wondering if the front wheel might lift. It is very sensitive to tuning, like you might expect from a 2 stroke. The right mix, (2 jet sizes off and it didn't work at all) was a 100 jet (Walbro carb) no change to the needle position, two 7/8" holes drilled at the lower end of the intake taper inside the airbox (it hated too much free air, this was careful bit by bit drilling and watching the mixture) and standard rollers in the standard variator but drilled out to 11.5mm on the I.D. which gave about 9.3g. LV exhaust, but the DB killer in, much worse with it out. WOT and it locks on to 8300-8600rpm. 2 jet sizes out with everything else the same and it struggled to reach 7800, and felt even slower than standard. 1 jet size out and it was just disappointing. 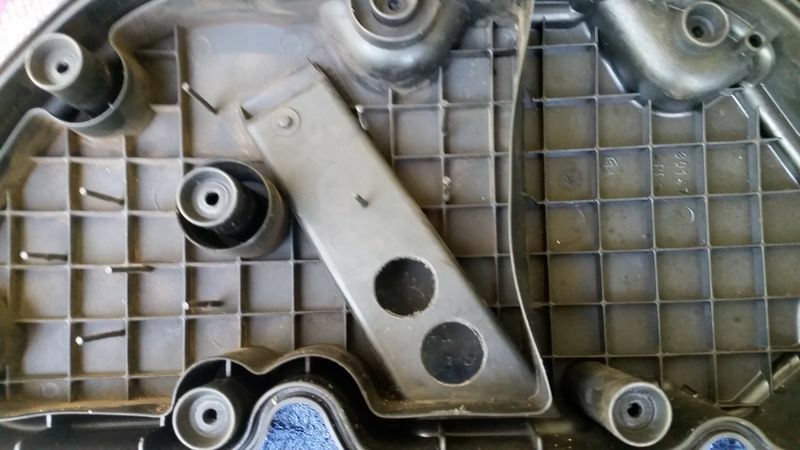 The holes in the airbox seemed critical. Too much air and it leaned out and no amount of jetting would fix it, too little and it ran out of breath and felt like half throttle. There may be a few more hp in there, but I'm blissfully contented for the moment, even if it took several weeks to achieve. Well done on getting it sorted. Keep us informed of any further gains. On a hill test, one that I used to climb at a steady 60kmh, I now run out of road while it's still accelerating at 80kmh. That's a drastic improvement, a handlebar grabbing full face smile one. I don't know if top end is affected yet as I've not tried it. I'm so happy for you Caketin! Blimin marvelous! As above, let us all know how it goes if you play with it some more. I found that al my mods made very little difference to top speed. If you want to go faster, there is the Malossi up-gear it, but I far prefer the acceleration Have so little opportunity to use the top speed anyway. Glad you are enjoying your mods at last. I just love laying the scooter over on a bend and gunning it! And overtaking is so easy now. Right up to 3/4 throttle it's pretty sedate. Everything abruptly turn up in the last 1/4 with a lot of exhaust noise to match. I'm pretty much like you, top speed isn't an issue, all of these lovely windy roads and hills about here is where I do most of my riding. I was just going to report on top speed for interests sake. I don't like holding it flat out for long stretches anyway, it feels too punishing, lol. I do have a subtle engine speed vibration at certain rpm. It's probably more apparent now than before because it is revving harder. When just rolling along at 60kmh it's only doing 5800, I start to notice it around 7000 and it's gone by 8000. It feels like the variator may be slightly out of balance, it's not a nasty vibration, just noticeable through my feet. Have you installed polyurethane shock bushes? If so, you will feel a lot more engine vibration (same as you do when the engine is idling and you have the brakes on hard). No Mike, they're just the standard ones. So I took it to max speed, and with the lighter variator weights it tops out hitting the rev limiter at 122kmh/9750rpm. I don't need to go any faster than that, and it will do it well off full throttle. It was always spot on 9750rpm. I think the rev limiter cuts in in stages to 10000rpm, so that's probably the one where it starts dropping sparks. With the standard weights that would happen closer to 140kmh I think, but I'm happier to keep the low end punch. A curious thing considering how over stated the speedo on the GT200 is supposed to be, at 110kmh, the speed limit on the road I was on I was still passing pretty much all the traffic. West Australians don't usually drive under the speed limit. I wonder if their is a difference in the model we got, with the Walbro carb, Euro tail light and metric dash, and the one released in North America? We don't have the SAS either. Another note on my acceleration times I've quoted is that I am petit. I weigh 65kg (140lb) and am 5'8". That puts me and the fueled up GT at around 220kg. Many people on this forum have posted their weights and most are 90-115kg. that could put the all up weight to 275kg, so I've got a 20% power to weight ratio advantage and not much wind resistance which is probably why my 0-80kmh comes in at 6.5s. and 0-100 at around 11s. Lol, yes, but with 9.3g rollers in a stock variator it's not going to get there this side of 11000rpm. I believe the Malossi one gives a wider range of gearing. I know the JCosta does, maybe another 15%. But for the time being I've tuned for grunty acceleration rather than flat out speed. If I'd left the weights at the standard 10.6g I'm sure I'd be doing over 140kmh, as you suggest. I didn't even have the throttle wide open when I hit the rev limiter. That said, the only time I'm ever going to do that speed is when I take it out onto The Great Eastern Highway specifically to test it for fast. It's a long road. About 4000km long actually, so plenty of time to wind up before I fall out of the other side of Australia into the sea. Has anybody here got a tach on a GT200 with the 218 kit? Hp makes a lot of difference to rpm at any given speed, in fact that became my measure during tuning. 7800 v 8600 was an extreme difference with the same weights at the same speed. If I change the variator it would be a benefit to know where to start with weights. It was easy with the standard one because once I had the mixture semi balanced I could just keep on drilling out the weights until I got in the bottom of the power band as per the Malossi charts, then readjust the mixture etc to see if I could get it to the middle (Of the power band), if not keep lightening the weights. I understand that, that was posted earlier (I can't remember by whom) that JCosta had already done the work so I wouldn't need to fart about, but that would have been with the engine stock. The power band is quite different with mine, a good 1000rpm higher, and because it is making more horsepower and torque it will wind up the variator in very different ways. The stock one with the 9.3g pulls 8600 off the line, but only 7800 if I open it up on a hill climb from around 80kmh. If the torque is enough when I gun it it will drive the revs higher, as in a standing start, but not climbing from 6500 up a hill. Take Honda PCX the difference between 125 (8kW)and 150 (10kW) is 2kw or 25% more than 125. J Costa weights differ by 0.5 gms . Both at 8500 rpm. Torque diff is 5000 rpm for 150 and 6000 for 125. GT 200 Vespa (14.6 kW) also has 11g weights but it produces max power at 9500 rpm, GTS250 at 8250 rpm has 15g weights and a 300 at 7500 rpm has 16 g weights. So the bigger engines are more about low down torque. The relationship between rpm and centrifugal? force is complicated. I'm not sure I would worry about a J Costa for a GT 200 being wrongly set up for the Malossi cam. Max power and torque went up to 500 rpm so not hugely different. Max torque stock is at 6750 so you are not doing so bad? You could buy some 10.5 weights and as it has 12 you can get three difference overall weights but that only accounts for the extra rpm not extra Hp. I understand your reasoning waspmike, but in reality it doesn't seem to happen, at least on a GT200 with a standard transmission. I can cruise along at 80kmh/5880. If I had belted it to 80kmh it would be doing 8600. I'm not exactly sure what causes this as I haven't taken enough of it apart but I was assuming some kind of torque affected scroll behind the contra spring. Either way it is dependent on at least the torque hitting the transmission. It may just be the reluctance of the belt to climb when under a lot of tension. Whatever causes it didn't matter because it was excellent for tuning. I get a max revs screen after a ride and if it was 7900 with one jet and 8200 with the next I knew I was going in the right direction. I'm not sure about that standard GT200, but mine never got under 10s from new. I suppose I the way look at it is that whatever it is doing now is a very great deal more than it was doing 2 weeks ago. MV. Sorry. will you explain this comment to me? By hub you mean the pulley half? You mean FR4 should have a different pulley angle or...? I am fascinated by variator differences and performance. I can cruise along at 80kmh/5880. If I had belted it to 80kmh it would be doing 8600. If I understand the question correctly? 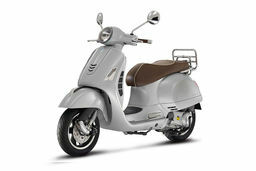 Your scoot cruises at 80 kph at 5880 rpm. But when you accelerate to 80 kph with spirit it is at 8600? If the variator is set up properly when you get to 80 kph at 8600 rpm and roll off the throttle a bit. There is less tension on the belt and the counter spring adjusts the system back to something approaching 5880. The aerodynamic drag is matched to engine power etc.. Likewise if you are riding along at 80 kph at 5880 and mash the throttle the tension in the belt against the counter spring pulls the belt into the pulley and the revs will jump to 8600+ and off you go . When you reach 100 kph and roll of the throttle a bit the revs will drop correspondingly back to cruising level. Depending on the variator set up the cruising RPM can be higher than stock. Just for info. A J Costa is set up to use a stock counter spring. Yes that is what mine does. I was wondering what mechanism was used to give it the elasticity. Your explanation makes perfect sense. You could understand how that helps with tuning though, as the more torque at any given rpm the higher the revs. Chicken and egg though. The force developed by the weights acting on the pulleys creates tension of its own in the belt and decreases RPM. So the weights control RPM and the engine can then exert whatever torque/hp is generated at that RPM. Logically one would think that the weights should keep the RPM at the maximum torque value but I do not think empirical tests support that. As I understand it, opening the throttle will increase tension in the belt, working against the rollers at the one end the contra spring at the other. Little change in the geometry. But the extra tension goes through to the wheels, and the speed increases. This in turn means the clutch and variator will turn faster, and then the rollers win out and pull the belt further into the clutch pulley and change the pulley ratio. And so you move to a "higher gear". More throttle -> more speed -> higher revs. but higher revs -> rollers winning -> pulley ratio change, which offsets the higher revs slightly. So revs don't increase in proportion to speed. It's very confusing, but I think I have it right in my head now. Page 125 of the manual shows what's going on. There's a spiral (One of the things I suspected) behind the clutch that allows the weight on the contra spring, preload, to change relative to torque. That would explain the elasticity depending on engine load at any given speed. More twist at the clutch the higher the preload the less the rollers are free to move so higher rpm. That also explains to some extent why it seemed that I was getting more top speed when I came off full throttle. I had mistakenly thought it was a mixture problem, but actually it is lowering the revs a bit causing the rev limiter to knock off and allowing it to go a little quicker. 10 out of 10 Mike! That also explains to some extent why it seemed that I was getting more top speed when I came off full throttle. Weights are a tad light for the counter spring and cannot force the driven pulleys together any further. Reducing the torque allows the rear pulley halves to be pushed together a bit more etc.. etc. You could use this to your advantage, maybe, in as much as you now have accidentally invented a two speed/phase transmission. Weights are a tad light for the counter spring and cannot force the driven pulleys together any further. Reducing the torque/ belt tension allows the rear pulley halves to be pushed together a bit more etc.. etc. There is a chap on line I just found (49ccscoot.com) who has put a huge amount of effort into farting about with variators. Though he never really matched the Malossi Multivar, I learned plenty from watching his videos. He experiments a lot, not with standard parts so much as modifying them in the most bodgy ways I've ever seen. So the torque driver, that thing with the spiral slots machined in it, is quite critical for balancing the torque v rpm. It makes sense. With the variator and no torque driver your rpm would be locked to a fixed setting independent of the amount of throttle you apply. wide open or gentle cruise would give you 8k if that's what you had tuned your weights for. The angle of the spiral on the torque driver (It's not so much a spiral as a screw, but you get my meaning) governs elasticity. The steeper the angle, the more it is effected by throttle/torque input, more throttle/higher rpm. This is a clever design. The Malossi variator is over range, meaning it engages from the clutch earlier by letting the belt ride lower in the engine pulley at launch and also stretches the top end further by allowing the belt to ride higher at speed. I'm not sure how their ramp angles compare to stock, but I would hope they are close as mine isn't far off what's required now. I'm loving this bloke at 49ccscoot.com. He doesn't achieve much, bit it's fascinating to watch him try, and par consequence not do it myself. I've learned so much from watching his efforts. I like the robot voice he has too. Hey Caketin, you spend too much time on your computer. Get out and ride! Merry Christmas to all on this thread. I enjoyed it a lot and learned something. 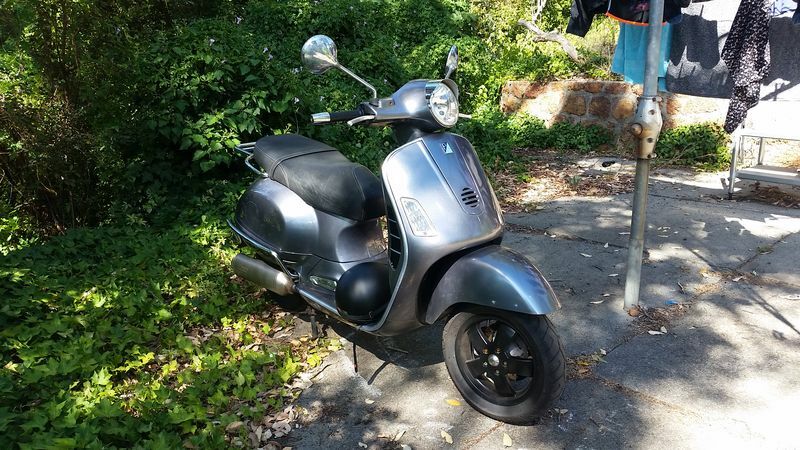 don't mistake my postings for not riding the Vespa, I can't think of enough excuses to get on it! That is my favourite GT/GTS colour. Lucky you! I love the smoothness of the GT. 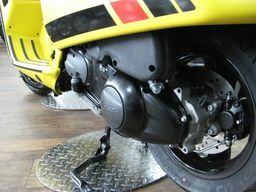 No front mudguard ornament, simple smooth horn cover, flush taillight. From there it all went downhill. Mine was silver, and I fitted matching silver vinyl over the silver part of the taillight, just leaving the circular light showing. I think the GT plastic carrier is the best for mounting a topbox. Makes it look like part of the scooter instead of something floating in the air behind with a whole lot of plumbing in-between. I had difficulty with the bits that held accessories, and other grey bits and badges. I didn't find the plasticy grey duck bill out the back anything other than 1990s ugly. or the vents, or wheels, or the star gazing headlight. It was the only decent Vespa manufactured at the time. I was happy to find bathroom fittings that looked as if they weren't part of the original core design. That way they didn't extend the shape, but rather look like add on extensions. This frees the body up in my mind to look like it was intended. The same goes for blacking out the wheels. Everyone to their own though. I would have found this difficult to do in 2004, but at this distance it's easier, and caused it to be pulled out from under a pile of leaves be loved again.